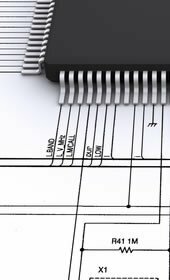 Using the latest software and decades of professional experience, Greenway Electrical are an electrical design consultants in Preston. We design a wide range of electrical systems for industrial and commercial properties of all shapes, sizes and types. Whether we’re providing lighting for a showroom, a power system for an office or security systems for shops, our qualified electricians will identify the most suitable components to meet your needs as well as the latest regulations and legal requirements. All electrical systems are designed with health and safety in mind, and we take into account environmental requirements that could also save you money. CCTV systems are designed with each camera carefully placed for maximum coverage, and we always visit your site in person to ensure that our recommendations will work in reality. We offer in-house Computer Aided Design (CAD), and will ensure that designs meet your budget and time constraints. For further details, contact us today with your requirements.